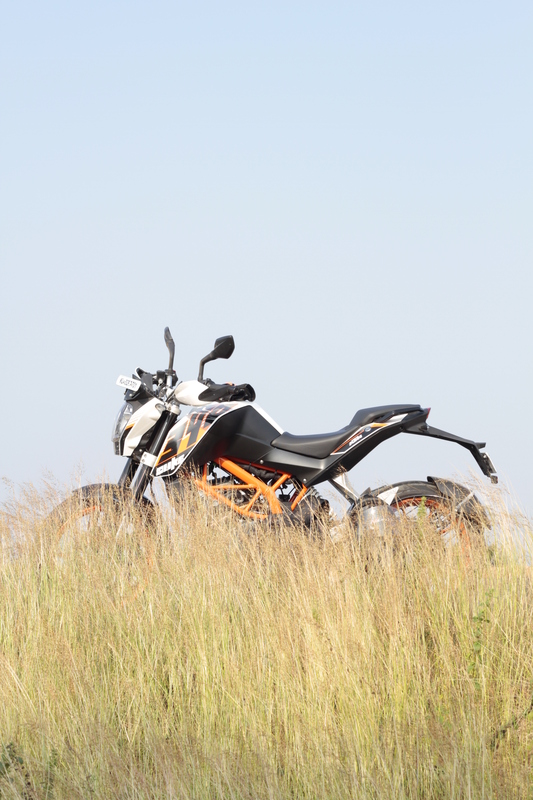 If you have never ridden a KTM before, you wouldn’t believe me when I say that very definition of how much fun you can have with something between your legs is going to be shredded, I am sure people who have tasted the KTM are grinning right now,and re-living that first ride of theirs in their mind. My usage is around 20 km daily in bangalore traffic and twice or thrice a month around 350 km highway ride on weekend to Mysore [to and fro distance MYS – BANG]. I also go for rides atleast once in 2 months. Is the 390 the right option for this usage..?? Well, for your requirement the duke 390 would be the best bike to have. Until about recently, the duke 390 did not make much sense in Bangalore traffic, blame the heavy clutch for this, but now the new models comes with slipper clutch which makes the clutch super light and easy to ride in traffic, and the maneuverability the duke has always had is just perfect for city. And considering that touring isn’t all that regular for you it again a good thing, not that the duke cannot do long distances, it most certainly can, but it has that sense of urgency about it almost at all times, that really may be bothering if you tour regularly. So enjoy the bike mate, the 390 is just a extremely fun bike to not have..! !